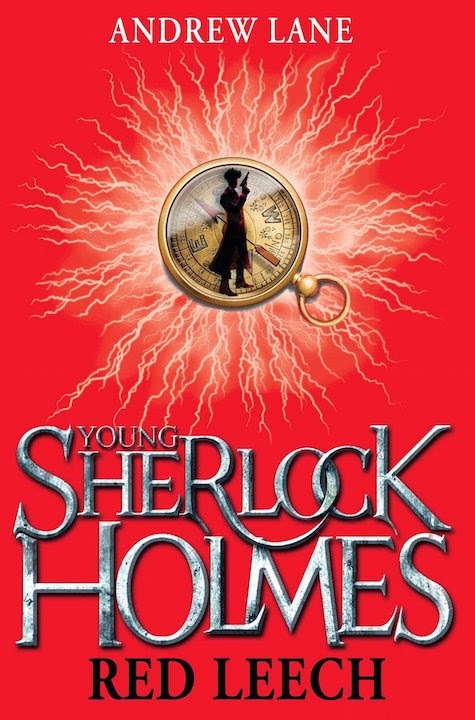 Andrew Lane's second Young Sherlock Holmes novel had Sherlock traveling to America during the Civil War. Unlike the first book, this time the title nicely tied into the canon. In the The Adventure of the Golden Pince-Nez, Watson makes mention of "the repulsive story of the red leech." Unfortunately, in the U.S. the book was retitled Rebel Fire. Sherlock Holmes knows that adults keep secrets. But he didn't expect to find the world's most famous assassin apparently living in Surrey when he's meant to be dead – and his own brother somehow involved. When no one will tell you the truth, sometimes you have to risk all to discover it for yourself. So begins an adventure that will lead Sherlock to America, to the centre of a deadly web – where life and death are cheap, and the truth has a price no sane person would pay . . .